Are you ready for the most delicious espresso smoothie EVER? Too much? What can I say, I’m just excited. I love coffee and coffee desserts and coffee bars and yes, even coffee smoothies. 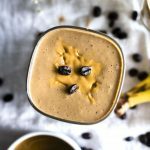 My coconut mocha smoothie is one of my most popular recipes, so I thought I’d make another version, only this time using peanut butter. Because why not? When did you become a coffee drinker? Did your parents drink it, so you started drinking it in high school, or how about college? Post-college? Or on the other hand, do you despise the taste of coffee all together? I actually forced myself to become a coffee drinker after I graduated college, which is kind of weird but… no regrets. My parents didn’t drink coffee (still don’t! ), so I didn’t grow up with the smell of coffee filling my kitchen day in and day out. When I was in college, I probably bought Starbucks or something similar once a week, but that was the only coffee I drank. Then one day I decided that I wanted to drink coffee, and as a result, I am now one of those people. So annoying, but talk about a great decision! So, here I am—one of those people—and happy as a clam. Weirdly enough, I typically don’t need coffee. For example, I went the first five days in Italy without it and felt completely fine. I love the taste so I tend to drink it most mornings, but I don’t NEED it to function, which I like to think of as a good thing. Basically, I’m a fake coffee addict. An addict for the taste, not the caffeine. 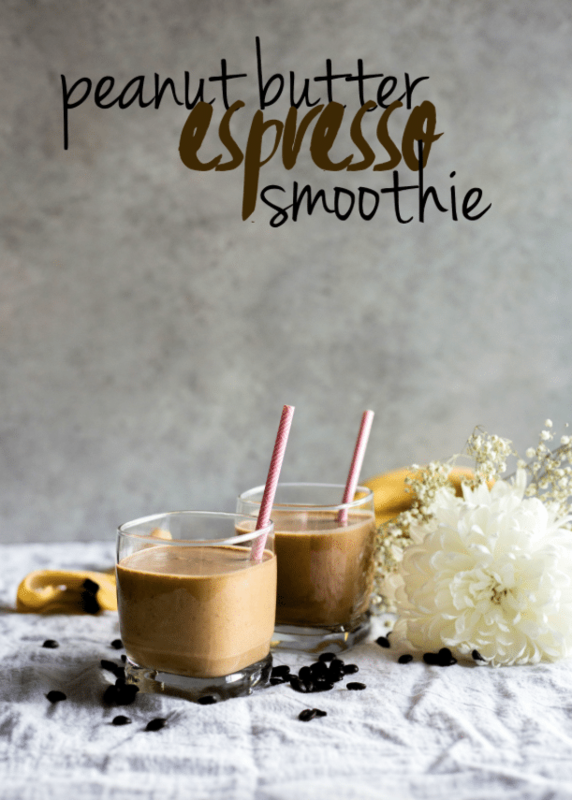 As we all know, breakfast is the most important meal of the day, so even if you’re “not hungry”, I think you should slurp down this espresso smoothie because it could even count as your morning coffee! 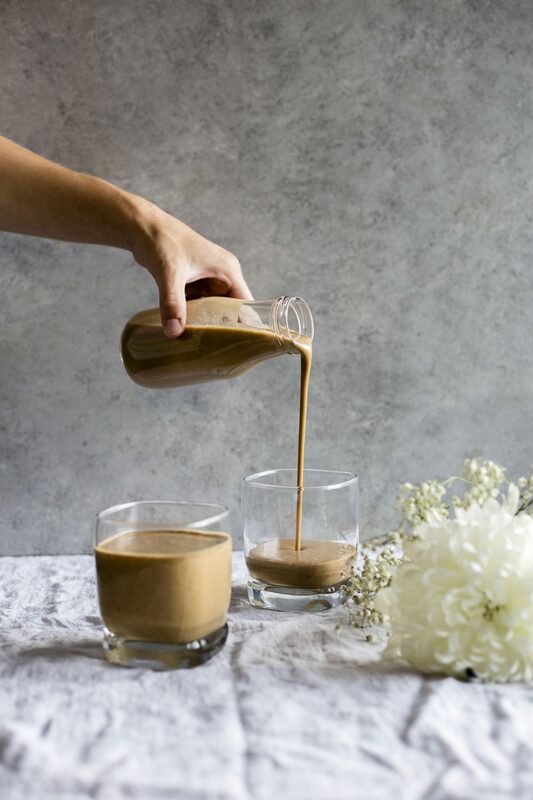 *Espresso powder: I’ve received this question a few times, so to clarify, if you don’t have or can’t find espresso powder, you can simply sub instant coffee instead! Alternatively, you can use brewed coffee, though I don’t have the exact measurement but you’re probably going to need to use much more of it than the recipe calls for. Banana: I like using a frozen banana because it makes the smoothie colder and thicker. However, you can use a room temperature banana plus ice cubes for the same result if that’s easier. No bananas? Try using 1/2 cup cashews instead! Likewise, it’s perfect for those of you who crave something a little sweet in the morning. 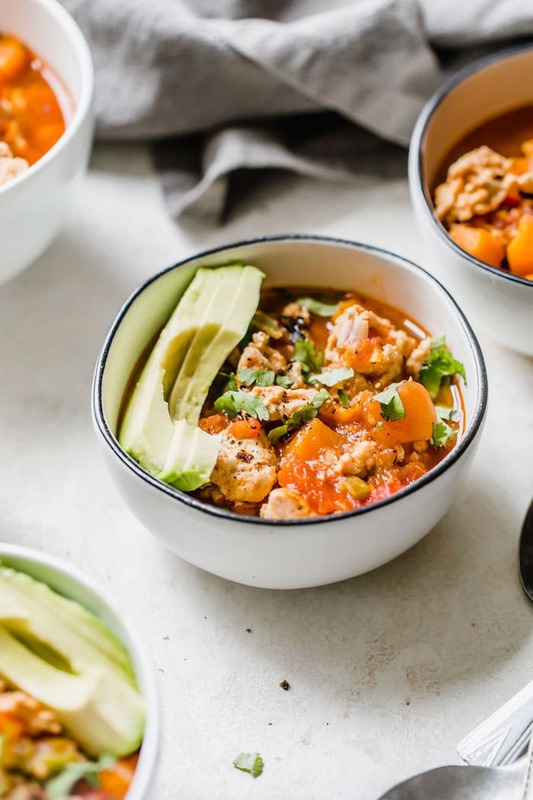 If you’re looking to supercharge this recipe, feel free to add any of your own superfoods, like chia seeds and/or hemp seeds (my two favorites!). However you do it, it’s sure to keep you full and your tastebuds happy all morning long. Disclaimer: This post is sponsored by Blue Diamond Almond Breeze Almondmilk. As always, all opinions are my own. Thank you for supporting brands that support this site! 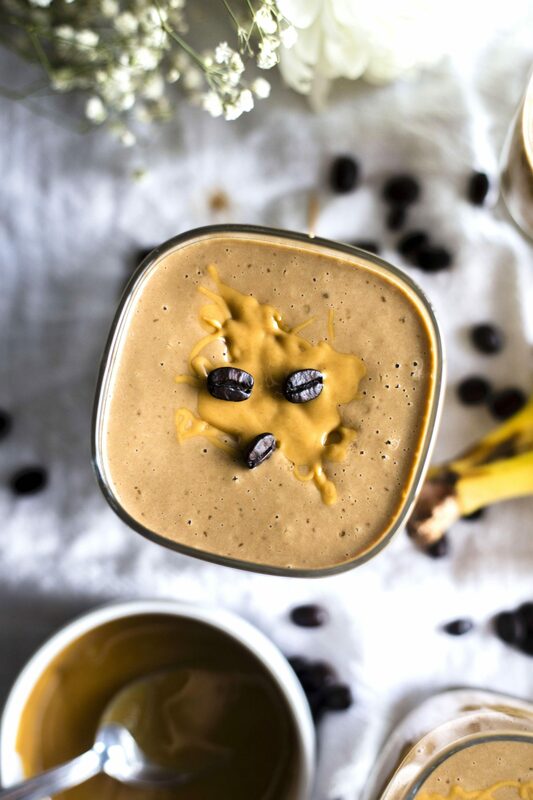 Start your morning feeling refreshed and awake with this Peanut Butter Espresso Smoothie! The best of both worlds. *If you don’t use a frozen banana, then just add ice to your smoothie. Found this on Pinterest! I used coconut milk because I had an open can and it is downright decadent! Ended up using probably 1/2 cup or more of milk to get it to blend. Can you make it with left over coffee you just madeout if fresh ground Starbucks beans?? Hi.. can I use normal milk instead of almond milk? My boyfriend and I drink a ton of coffee. We have our own espresso machine! So for this recipe I used espresso grounds instead of the powder, and it turned out amazing! Thanks for the idea! So delicious! Espresso powder? Could I use ground up espresso beans? Would this still work and taste good? Yep! You can use ground up espresso beans or instant coffee–either will work. This smoothie looks amazing! I’ve been drinking coffee since I was 8 lol. I was thinking of substituting the peanut butter with the powdered peanut butter (PB2 brand) as I have some on hand and adding a little cocoa powder because I love banana, chocolate and mocha flavors 🙂 There is also a PB2 with cocoa mixed in but I haven’t tried it. That would probably work–and the addition of chocolate sounds SO GOOD. Looks delish! However you have not replied to two comments regarding 1) what the calories are for this, and if this recipe is one or two servings; 2) The amount of fat for 1/4 c. peanut butter is extremely high. Can you please address these comments? Thanks! 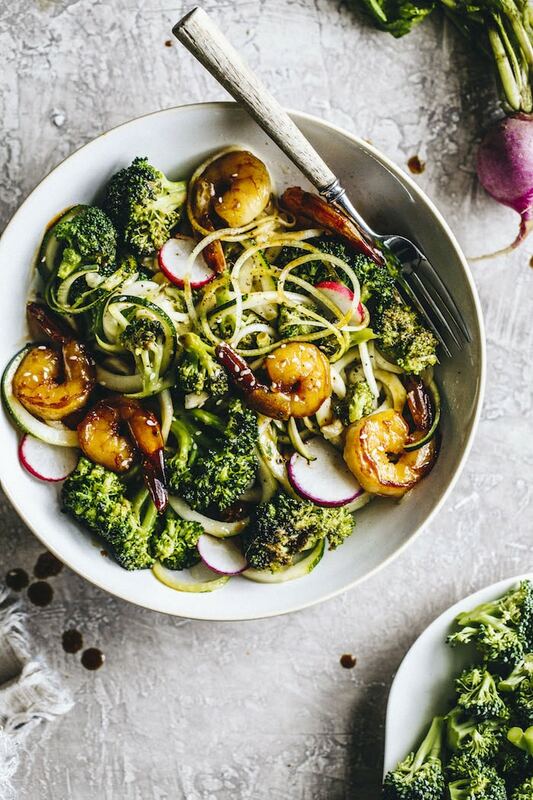 Hi Cindy–I don’t know the calories in this recipe because I try to encourage intuitive eating and focusing on the ingredients themselves, not the numbers behind them. With that said, you’re more than welcome to plug the ingredients into an app like My Fitness Pal and find out. As for the peanut butter, if you think it’s too much, you could reduce it to 2 tbsp instead. Hope this helps! Espresso powder is similar to instant coffee, but richer. You can usually find it in the coffee aisle at the grocery store. Hi, I too am an addict for the smell and taste of coffee. It used to be an excuse to get out of meeting for 5 min caffeine break. I started drinking coffee in my junior year of high school. It was after being served coffee with dessert in my French friend’s home in Marseille. I was 100% hooked when i dated an Italian. Their pastries are super nice but not overly sweet like American and go so well with the bitterness of coffee. 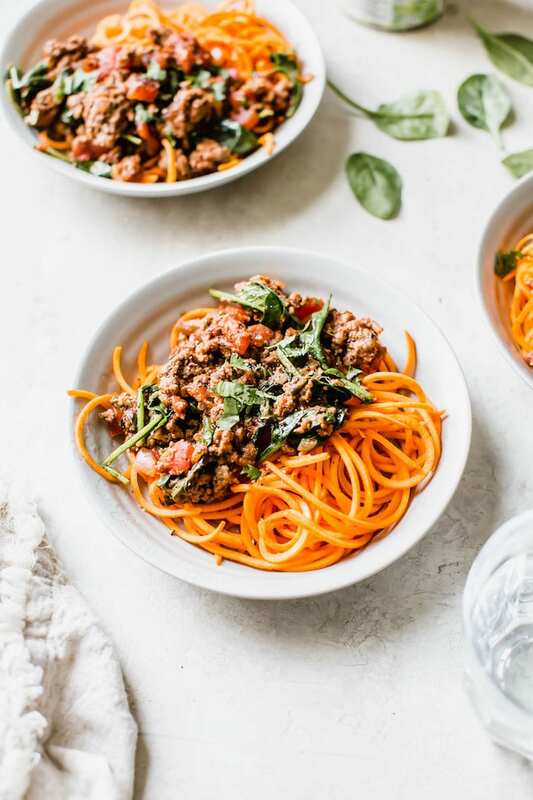 I love this recipe as I also added chocolate protein powder + my greens and blitz them all together. Taste so good that i forgot the green taste of kale. Could I blend this, then freeze. Take out tht night before for breakfast. Is it two servings or one?? 1/4 pb is a lot of fat for one person?? Erin!! This looks amazing! So creamy and delicious! And that’s so cute that you wanted to be “one of those people”!! I LOVE coffee and drank if every single morning… but I just recently cut it out about a week and a half ago… because I wasn’t like you, I was one of the people who NEEDED coffee every AM! Either way this looks amazing!! 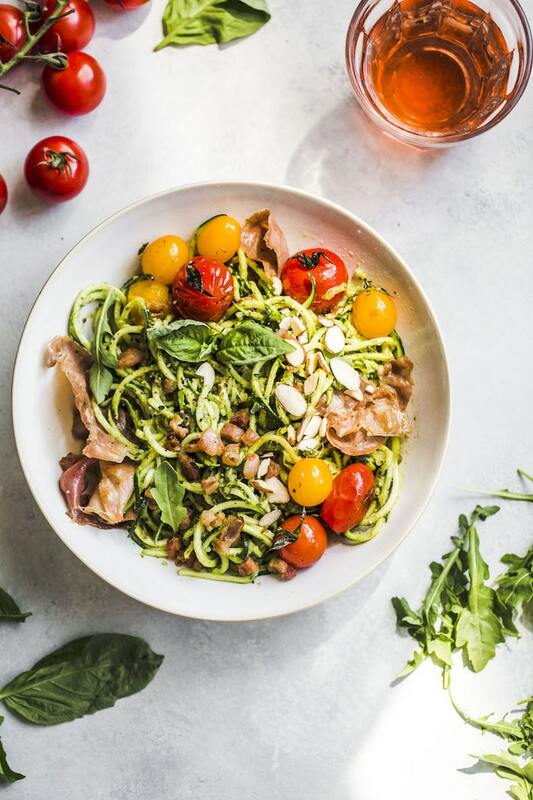 Cailee recently posted…Hello Healthy August! Oh YUM! coffee and peanut butter are two of my favorite things! I had no idea you worked at Starbucks… thanks for letting me know. But actually, thanks for the comment! 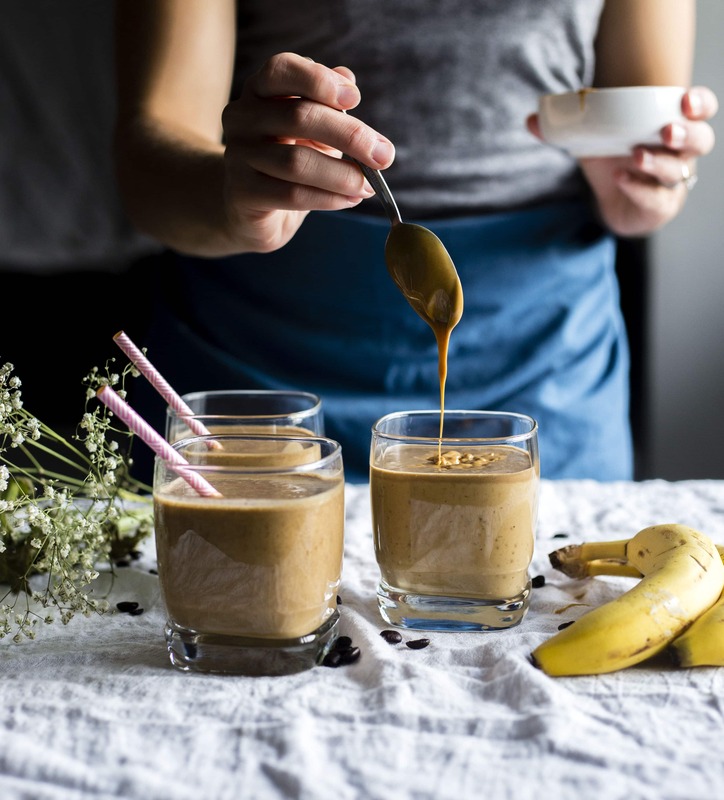 Do you know any more coffee smoothie recipes? Ummmm can we talk about how INCREDIBLE these photos are? My goodness…they’re breathtaking. I am totally a coffee addict for both caffeine and taste. It’s just so dang good. I really got on the coffee train in college, but my dad used to give me chocolate covered espresso beans when I was little (lord knows why) so the true love of coffee started early. Uhmm chocolate covered espresso beans are SO GOOD.. I forgot about them until right now and now I need some. Also, thank you! I’ve been trying (keyword=trying) to use my tripod more often. This looks so delicious! There is nothing better than coffee and peanut butter! I LOVE this! So simple!!!! 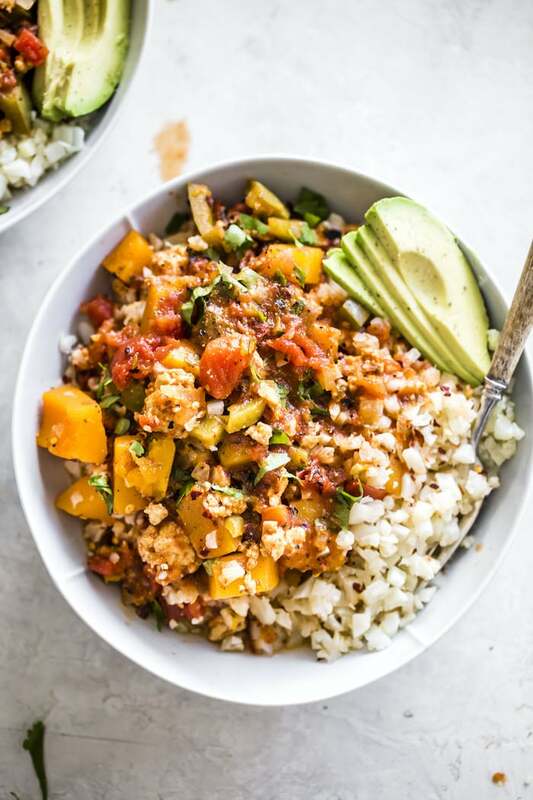 I may make this tonight – I was totally scrambling for breakfast this AM. Honestly, maybe for lunch – LOL. I have ALWAYS been a coffee drinker! I used to sneak my dad’s at about age 6 or 7! 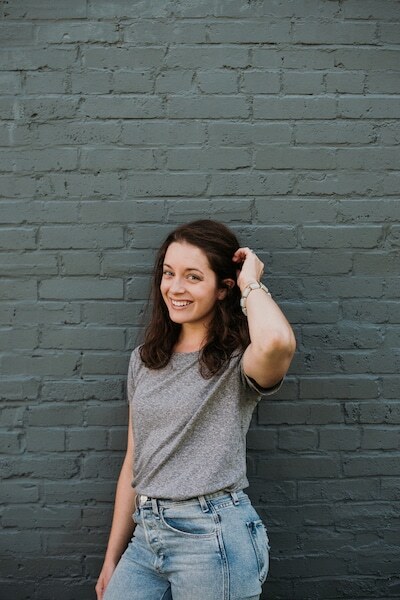 My family was so worried it would stunt my growth, but I’m almost 5’9″ sooooo I think I did OK! Omg you were drinking coffee before I even knew what it smelled like! You were meant to be a coffee drinker. I’m 74 and I’ve been drinking coffee since about 3 because I hated milk so my mom gave me coffee with a lot of milk to get me to drink the milk. I still hate milk. but love coffee with a splash of real cream. I hate the taste of milk too. These days i replace them w/ almond or coconut milk or cream. There isn’t much better than coffee and peanut butter! It’s like a milkshake for breakfast. Yes, I’ll take one! Ohh good I’m glad you understand what I was saying ha. I also love when my kitchen smells like coffee–the best! 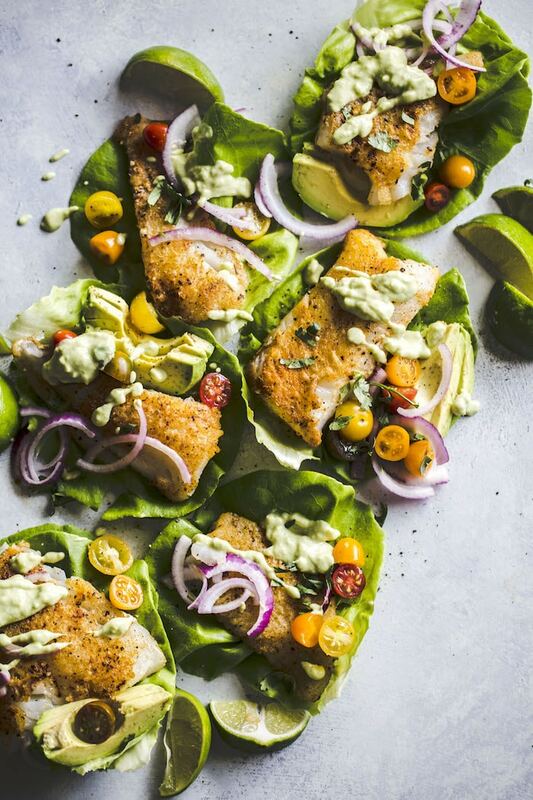 I am loving the action shots with that gorgeous blue apron! You can really feel your passion for photography through your work, Erin. It’s just so beautiful. Bahhh thank you!! And yes, PB and banana is always a good idea.